Major websites are going dark today at 9:30am as part of a national moment of silence for the Sandy Hook victims. No one knows exactly which websites, or how many, are participating in the event, though more than 100,000 people and websites have pledged to join the cause, according to Causes.com. 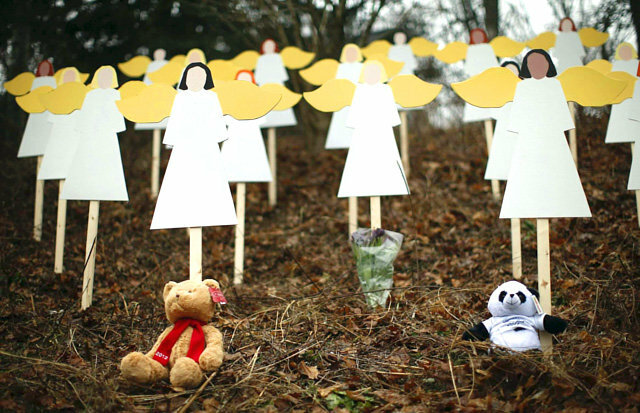 The event is also spreading across Twitter with the hashtag #momentforSandyHook. Ron Conway, a high-profile Silicon Valley venture capitalist, is one of the core individuals pushing the campaign, which is actually part of a larger debate about federal gun control legislation. Conway is leading the Causes.com pledge, joined by other such celebrities as Ryan Seacrest, Jack Dorsey, Britney Spears, MC Hammer, Suze Orman, and Tyler Florence. Causes.com is a startup company using social media to spread awareness about charities and causes, and Conway is one of the major investors in the company. Again, websites going dark for a Sandy Hook moment of silence is part of a nationwide debate over federal gun control legislation. Earlier this week Conway and some other notable celebrities and tech geeks placed an ad about gun control in the New York Times. Major websites going dark is not a new occurrence. The most recent nationwide call to go dark happened during the successful online protest against Stop Online Privacy Act.